The final chapter to the books from I read in 2013. It is definitely sad that all this fun is coming to an end, but it had to at some point right? If you need to catch up (no worries, only 2 of the reviews are all that long) check out my initial post, my first follow-up, The Devil in the White City review, my second follow-up group, and my Steelheart review. Now on to the final list. 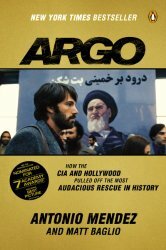 Argo: How the CIA & Hollywood Pulled Off the Most Audacious Rescue in History is just that. If you haven't seen the Ben Affleck movie, you should...it's good watching. The book isn't anything spectacular, but is worth the read. It is just a smattering of details of how the CIA was able to start what appeared to be a reputable production company, fool the Iranians into thinking they wanted to film a movie there, and ultimately get 6 Americans out to safety. It is a really interesting story. Two things stood out to me, first the fact that the CIA learned from Hollywood greats how to make a person look like someone else. And second, how awesome the Canadians were through the whole ordeal. The movie didn't highlight this, but without Canada, the rescue would not have happened. A good read and worth the time. 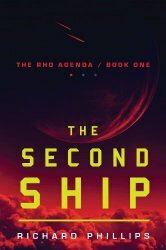 The Second Ship is the first novel in the Rho Agenda Trilogy, and possibly the strongest. The story is about 3 high school students that find an alien ship near Los Alamos, NM and by interacting with the ship, it begins to "change" them. And then these high school students do what you'd expect high school students with new abilities do...get into trouble. This sound childish, but it is definitely not. There are dark characters, questionable good guys, and tons of fun. It was really a fun read. You can relate to any one of three kids, and other characters are very intriguing. Just know that this is the first of a series and more was planned from the start. You'll want to carve out time for all three. 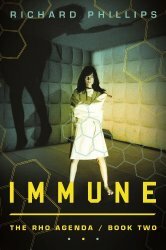 The second novel, Immune, is a bit of a letdown from the first novel, but still a good read. The characters, the 3 kids, begin to make moves and decisions that--at least in my mind--violated the stories logic rules. After setting up the kids thoughts and motivations in the first novel, the choices appear to force a plot direction rather than the logical movement of each character. There are also some introductions to some antagonists that I really didn't care for. They felt...wrong. But towards the end, the story begins to pay off a bit. It's worth reading only to proceed to the next book...for the ending I gave it a little boost in rating. 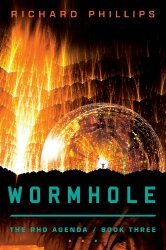 Wormhole is the final chapter to the Rho Agenda trilogy, and this is the one where things begin to really pay off. We start to see what's going on from the beginning, you understand and know deeper character motivations, and you get great swaths of action. 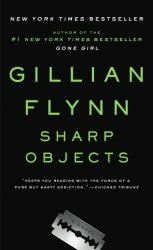 This is the book that really makes the whole series click. Think of the trilogy as a long Sci/Fi epic that is split into three parts. And this is the grand conclusion. If you are a Sci/Fi fan, it is worth your time. 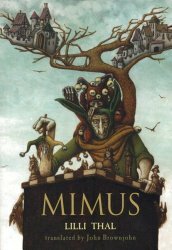 I've had Mimus in my queue for a long time mainly because it constantly gets great reviews. Seriously, it is consistently getting glowing reviews. So I fired it up and started reading it. It starts off very formulaic medieval type story, then abandons that formula for something more refreshing. Then there's a huge chunk in the middle of nothing. There's some jokes and japes, but nothing of any substance. In fact, a relationship is established and then goes completely unused for the rest of the book. Then the tide turns and the plot picks up again, but right before you are done. I don't know why it keeps getting great reviews, maybe I expected too much. Also, don't listen to this book on audiobook...the narrator is awful. Ok, a story about a starship's crew from the point of view of the constantly dying groups of crew members? I'm in! Redshirts is interesting and funny. 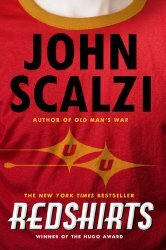 Scalzi took the simple concept of the disposable crew members and wrote a whole story around it. Scalzi's writing style is a bit different, he doesn't allow the dialog to flow and the point of view didn't fit. I say this about the point of view, because the Second Coda was actually the best written part of the book. It wasn't the best story, but the most well written. Had the book been in that voice, it would have been so much better. If I had anything else to complain about this book, it is that it was too short. It was a quick and dirty read that left me wishing there was more to it. I picked up Theft of Swords because I wanted wanted to reads something about thieves. I've been reminiscing about playing Thief: The Dark Project--one of the best games ever made--and wanted something to help quench my desire. I'm glad I grabbed it. 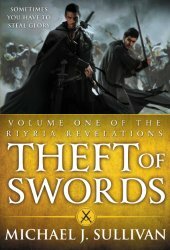 Thief of Swords is actually two books in one that follows the time-line and story of the Riyria [Rī-eer-ah], two men that thieve outside of the guilds. (At this time underground guilds were setup to control the market and pricing. If you didn't work for a guild, you could wind up dead or severely crippled.) Sullivan doesn't worry about why the species exist--humans, elfs, and dwarves--and simply places you in the world and wraps you up in the characters. I like this because he assumes you can already accept this semi-familiar world, and doesn't waste time telling you why. The story is great and situations are engrossing. And best of all, you find yourself wrapped up in the interaction between the two main characters. I'm going to finish the series and probably read the supplementary series as well. It was a good end to the year...we will see what 2014 has in store.